You’ve no doubt heard a peanut allergy horror story sometime in your life. Maybe a friend’s friend was on a plane that needed to make an emergency landing for an allergy sufferer, or someone you knew had an allergic reaction from kissing their romantic partner. We now have things like epi-pens to help, but of course it would be better if allergies could just go away. Scientists in Australia report that a trial of probiotics mixed with peanuts lasting four years lead to a peanut tolerance. Their results are fairly preliminary and feature a relatively small group of participants, 24 in each group. But the results suggest that there could be a safe way to deal with peanut allergies in the long-term. The study followed participants who’d completed a successful previous trial of a bacteria mixed with peanut, compared to a placebo. These participants and their nurses received a quality of life survey and received skin prick tests to measure the body’s reaction to the allergen. Four years after the last study, 16 of the 24 participants taking the peanut-probiotic mix were still eating peanuts, and 11 of them once a week, and 20 of the 24 said they hadn’t had an allergic reaction since stopping the previous trial. That’s compared to one of the 24 placebo takers still eating peanuts, six of whom had allergic reactions from accidentally eating peanuts since completing the last study. 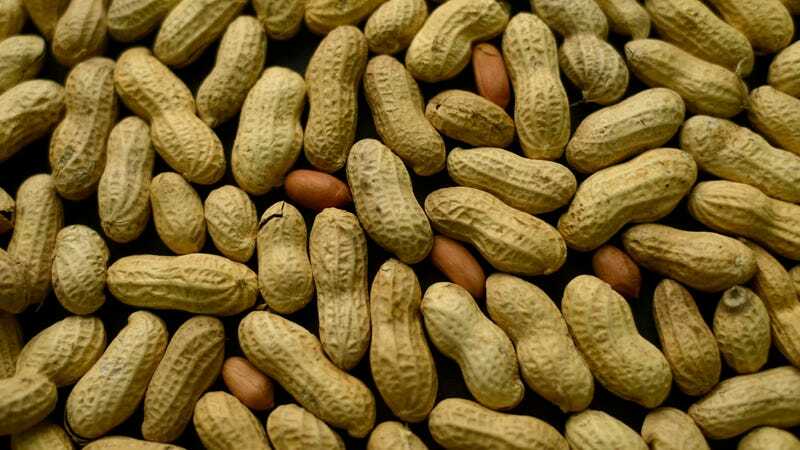 The skin prick test showed that the rash used to measure peanut sensitivity was smaller on average in the immunized group than in the placebo group. Some participants also took part in a food challenge, where they ate peanuts in a controlled maner to see what would happen. The study really did seem to prove that the probiotic-peanut therapy worked. But the authors reported a number of limitations. Only 27 subjects took part in the food challenge, and the overall study was still fairly small. And as they also point out, retrospective surveys aren’t the best way to collect data, but conclude that the study is a proof-of-concept. So, an initial study and proof of concept means there’s hope but that bigger studies with more rigorous data collecting would be required to really confirm everything. Importantly, the study does come at an interesting time—just last year a peanut patch seemed to ward off allergies in some children. It’s important to note that it can take a few years to run a study and the amount of time it takes for the FDA to approve a drug can also be a few years. That means an FDA-approved peanut immunotherapy as a medical treatment, rather than a supplement, is probably further away than some of the other headlines you’ve seen might make you think. But hey, it’s good to know that peanut immunization might be possible.